Adding to the already stacked roster of performers for "music's biggest night," organizers have unveiled another round of acts that will appear on stage at the Grammys. Kendrick Lamar, Sam Smith, U2, Elton John and Miley Cyrus are the latest additions to the show. They join a bill that already includes Lady Gaga, Childish Gambino, P!nk, Little Big Town, Kesha, SZA, Bruno Mars, Cardi B, Logic, Alessia Cara, Khalid, Luis Fonsi and Daddy Yankee. 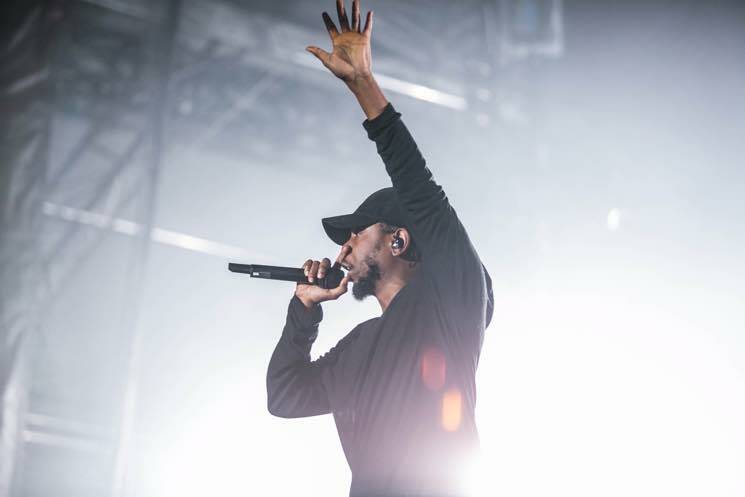 As previously reported, Lamar raked in an impressive seven nominations this year, including nods for Record of the Year and Album of the Year. He also collaborated with fellow performers U2, with each appearing on the other's records. Revisit the full list of nominees here. The Grammys ceremony will be hosted by late-night TV personality James Corden and will be broadcast live on January 28.